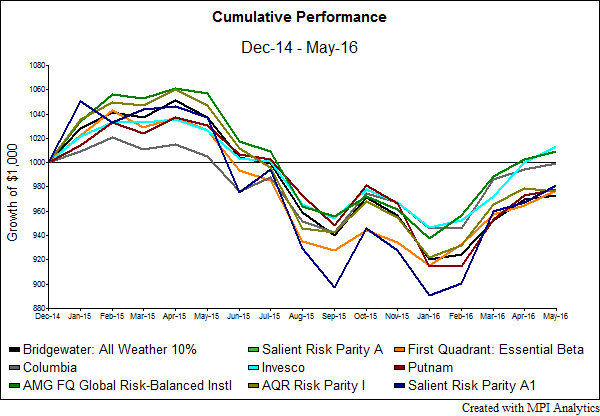 Risk Parity and Brexit: A Volatility Surprise! Risk parity strategies hold the promise of smooth sailing through periods of market turbulence, offering consistent performance via risk diversification. However, during Brexit the losses they experienced were very high by historical standards as they came very close to exceeding, or exceeded, the 95% worst outcome as estimated by the historical VaR. Risk parity strategies hold the promise of smooth sailing through periods of market turbulence, offering consistent performance via risk diversification. 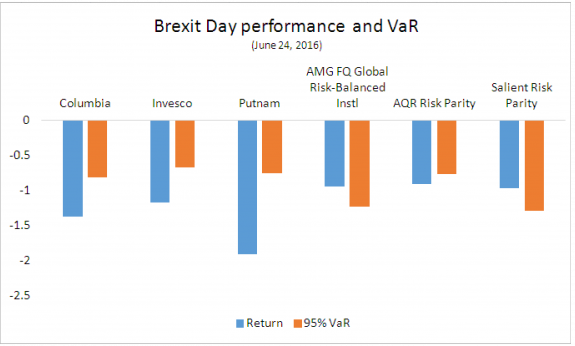 And prior to Brexit, risk parity funds had done quite well to reverse most of last year’s losses, displaying similar performance patterns despite the difference in strategy implementation or exposure and dynamics as reported by MPI in the recent past.